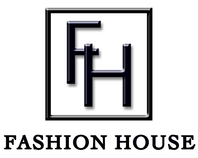 Fashion House was founded on 7th March, 1940. Having established ourselves as a successful retail store, we transitioned in to wholesale in the 1970's. We have been based in Newlands, Johannesburg throughout this time. Our clients include retailers, manufactures as well as other wholesalers across the Southern Africa region. The majority of our clients have been loyal to us for many years and together we have partnered them through countless business cycles. We believe in sourcing superior quality products and offering them at the lowest possible prices, giving our clients the best value for money. Our reputation as a leading textile wholesaler is the result of an excellent track record for delivering quality products. We have stock on-hand & existing relationships to expedite any urgent requirements.